Gamay, a grape from Beaujolais, was introduced to the region more than a century ago. It gives a lively and fruity wine. 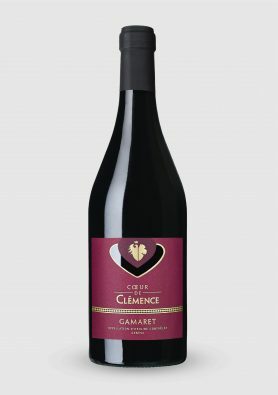 This Premier Cru with its bright ruby robe gives a nose with a lovely basket of mainly red fruit aromas, notably raspberry and cherry. The attack opens with freshness and fruit, but the wine’s suppleness and power quickly become apparent. Imported from Beaujolais more than 100 years ago, the Gamay grape produces a lively and fruity wine. A pretty nose dominated by red fruits such as raspberry and cherry. Fresh and fruity. A smooth but powerful wine.